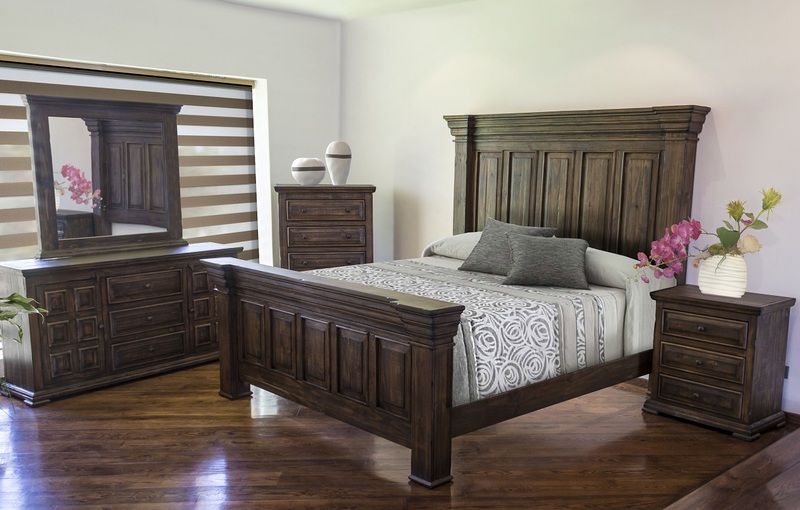 This collection features impressive framing details but most of all an oversized headboard and footboard to wow. This bed is designed to be used with a Box Spring. Solid wood drawers feature front English dovetail joinery construction and ball bearing glides. Also available in a hand antiqued grey finish for an upcharge. These have to ship in from a special location and cost an extra $200 per truckload. Please check with a manager for availability!